N. L. Roper & Sons Ltd is a family run company now in its third generation and was established in 1971 by Norman Leonard Roper. We specialise in surface finishing on a wide range of materials which include stainless steel, ceramics, rubber, glass and plastic composites. 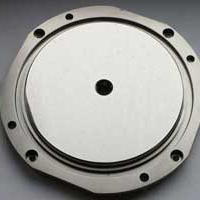 NLR specialises in Precision Lapping Services, Flat Grinding and Polishing and also in a variety of precision surface finishes, ranging from 1.6µmRa– 0.02 µmRa. Our business has a customer base that serves a diverse sector of the manufacturing industry. Our skilled engineers provide our customers with specialist expertise and are committed to investigating and giving quality solutions to their problems. Now in its 44th year of trading N. L. Roper and Sons has continually grown and in 2006 the company completed an extension doubling the size of the former building. Our aim is to create a comprehensive dialogue with our customers, listening to their needs and requirements to ensure their job is completed within the timescale to the highest quality standard that we are able to achieve.